Pierre-Emerick Aubameyang took just under 50 per cent of the vote in the #BLMVP Matchday 11 poll. Pierre-Emerick Aubameyang’s match-winning goal in Borussia Dortmund’s 1-0 win over FC Bayern München in Der Klassiker saw him crowned the #BLMVP on Matchday 11 by the bundesliga.com users. 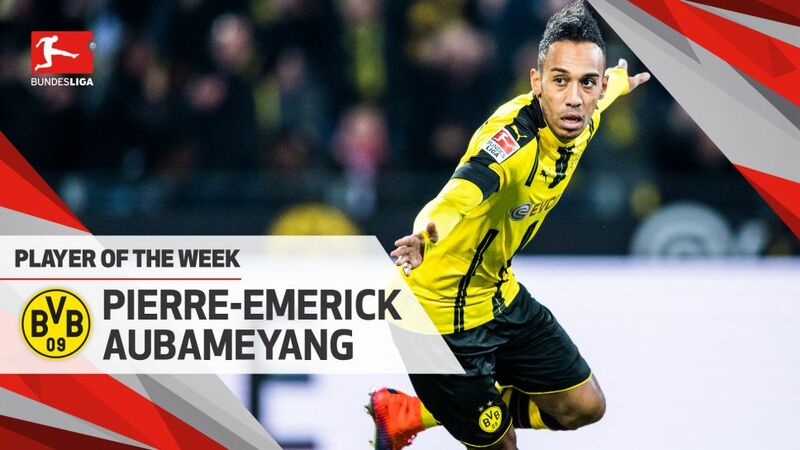 Need Pierre-Emerick Aubameyang in your Official Fantasy Bundesliga side? Sign him up here! The reigning African Footballer of the Year proved his worth again in front of the Yellow Wall, putting Dortmund up 11 minutes in and providing a threat throughout in a vital win that lifted die Schwarzgelben to within three points of Bayern. But was it enough to earn him a vote for Matchday 11 MVP? Cast your vote! Vote Pierre-Emerick Aubameyang for #BLMVP on our twitter channel now! Aubameyang is joint top of the top of the Bundesliga scoring charts with 12 goals.His goal against Bayern was his seventh in his last five outings.Aubameyang made his speed count making 31 sprints - the most of any BVB players.